Based on the original classic Verythin guitar body shape from 1960 with the body depth of only 1.25 inches. The Verythin was extremely popular with groups during the 1960s beat boom era. The Verythin CT not only captures that unique 60s sound but also has the ability to produce tones ranging from deep gutsy blues through to cutting distorted rock. We achieve this by fitting a centre block in the body to produce more sustain, deeper tones and less feedback. The CT model is now fitted with striped position markers on the neck just like the original 1960s model. You'll certainly stand out from the crowd playing a Verythin CT. 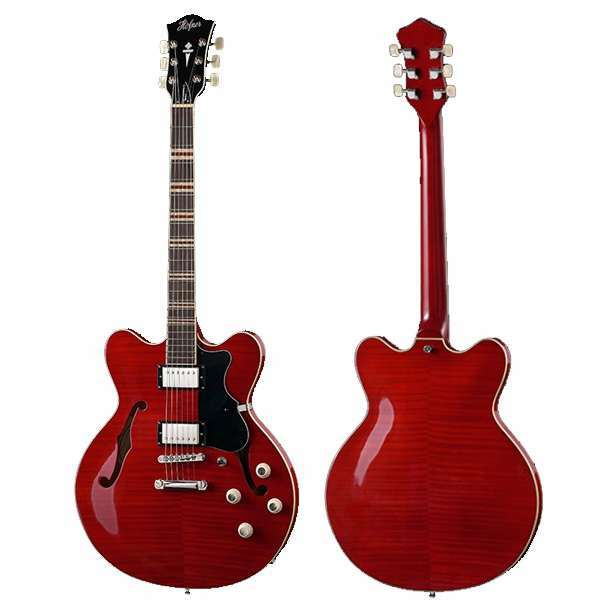 It truly is a versatile guitar at a very affordable price. Hofner Guitar Cases for Classical guitar, Dreadnought guitar, Grand Auditorium guitar and Jazz guitars, Jumbo guitar, Basses, Club, Galaxy, Verythin guitar. Hofner padded leather guitar strap, made using the best leather coupled with excellent workmanship.Available in Black . 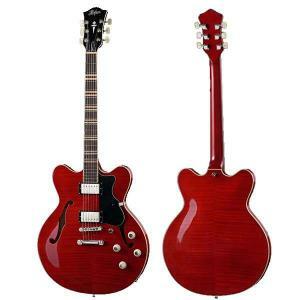 Hofner Luxury Reversible Leather Strap H65/74. Hofner padded leather strap. We only use the best available soft leather. This Hofner strap is reversible; wear either the black or the antique-brown side.